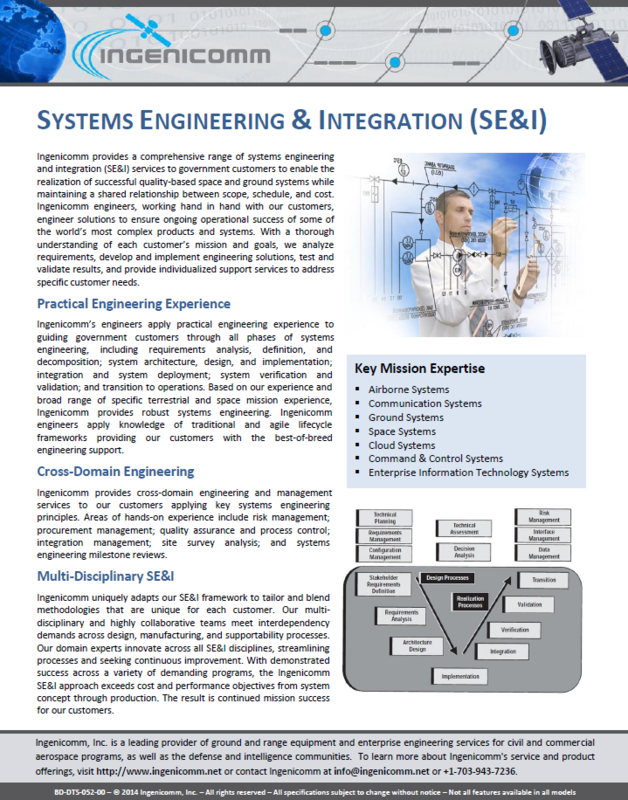 Ingenicomm provides a comprehensive range of systems engineering and integration (SE&I) services to government customers to enable the realization of successful quality-based space and ground systems while maintaining a shared relationship between scope, schedule, and cost. Ingenicomm engineers, working hand in hand with our customers, engineer solutions to ensure ongoing operational success of some of the world’s most complex products and systems. 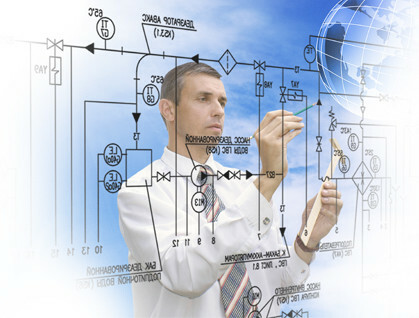 With a thorough understanding of each customer’s mission and goals, we analyze requirements, develop and implement engineering solutions, test and validate results, and provide individualized support services to address specific customer needs.